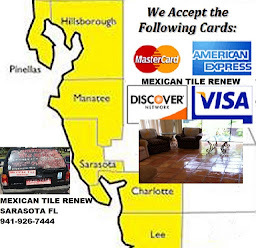 CLICK ON IMAGE ABOVE TO ENLARGE PHOTO. 'Mexican Tile Renew' Outdoor Project in Fort Myers Fl Where Black Grout Had Stained The Face of the Saltillo Tiles. 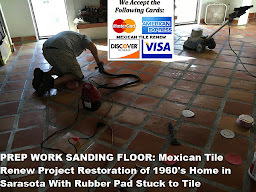 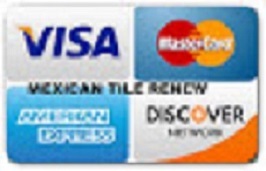 Sometimes during the initial installation of Mexican tile the tile is not properly sealed before grouting and with the use of dark gray, charcoal, or black grout the very porous Saltillo tiles will become stained, especially around the edges and a dark haze will coat the tiles and hide their beautiful natural colors. 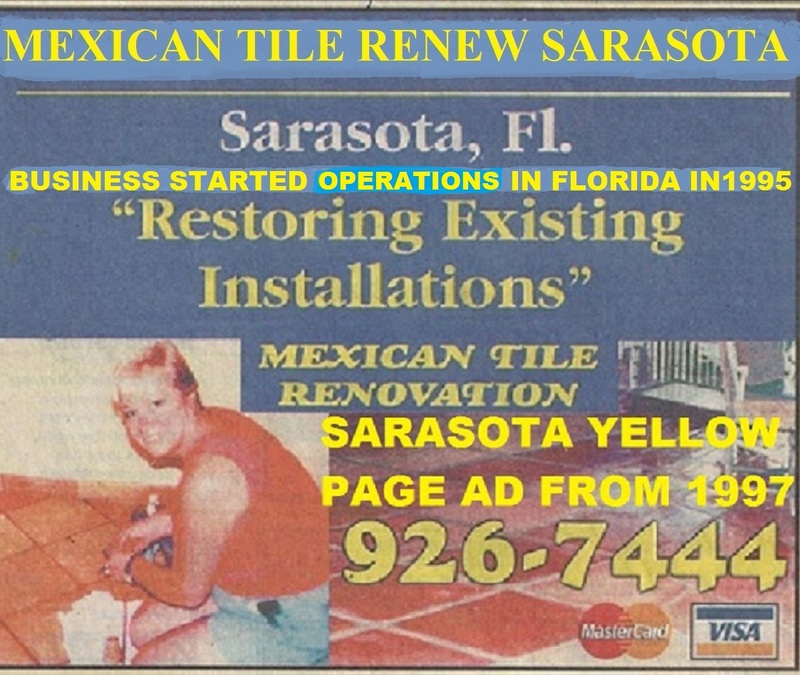 CLICK ON IMAGE ABOVE TO ENLARGE PHOTO. 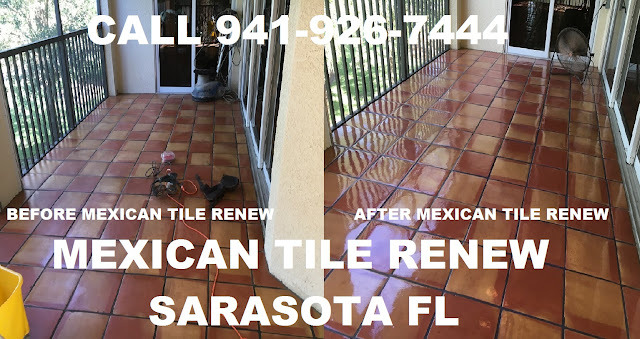 Not every renovation of existing Mexican tile floors is the same, and when you find after stripping off the old sealer you can find embedded dark stains from the grout that was not properly cleaned up after installation. To remove these dark stains on the Mexican tile it is necessary to lightly sand down the affected areas and sometimes even the face of all the tiles to restore the natural beautiful colors hidden by the dark grout haze.